At the end of my stay in Japan, I asked some students whether they'd be willing to part with some of the notes they had passed around during class. All of them adamantly refused. A few weeks before my departure, I think they took pity on me and finally relented. 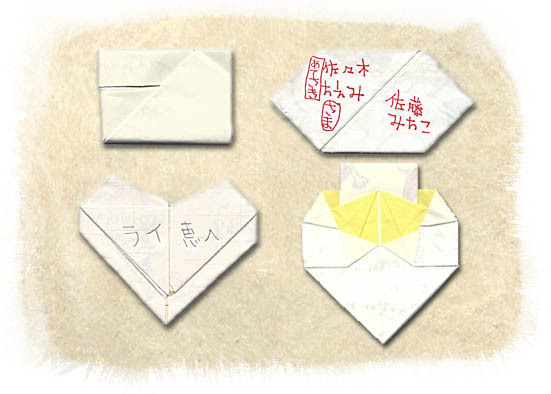 Each note represents a different origami design.